InterDirect's Digital Marketing Transformation Conference 2018 brings together a group of independent agencies from across the globe and brand marketers from many of Thailand's national and international brands. This event aims at providing the latest case studies direct from brands and some of the emerging technologies from international headliners as well as some exciting new businesses. The event programme includes strategic and tactical presentations, interactive roundtable discussion groups and plenty of opportunities to network with an amazing group of people. Mr. Stephen Tracy, Managing Director for Indonesia, Malaysia & Singapore at YouGov, shares insights on how market research can help with marketing campaigns. Communications research is the use of data to inform the planning, design and delivery of marketing and comms activities. Today, more and more marketing and communications departments are beginning to leverage primary research as a means to deliver more timely, relevant and effective messaging. However, knowing how to effectively act on or apply the data you’ve created remains a challenge for many. 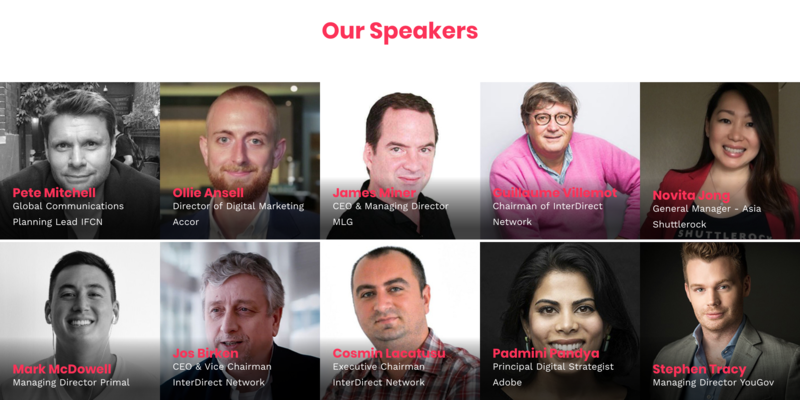 Getting involved with the Digital Marketing Transformation Conference will enable you to interact with many of the top global independent agencies that have infinite knowledge of local markets. You will network and build solid business relationships with Thailand’s national brands as well as the International Brands represented in this growing and vibrant Thai marketplace. For marketers and our independent agencies you will also establish key contacts tech geniuses and media platforms will also be represented providing invaluable insights allowing everyone to evaluate and pivot marketing strategies to keep pace with consumers buying psyche. The transition of marketing to digital has been the forefront of all our minds. The speed of technology and the transformation of how consumer’s consumption of media continues to evolve, means we need to ensure our digital assets are second to none.